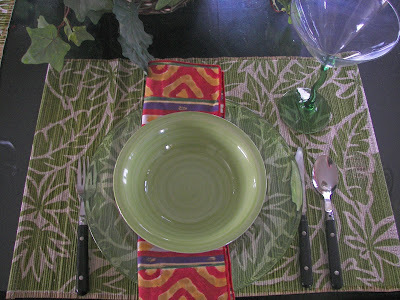 Red Couch Recipes: My First Tablescape--Thrifty St. Patrick's Day Tablescape! My First Tablescape--Thrifty St. Patrick's Day Tablescape! 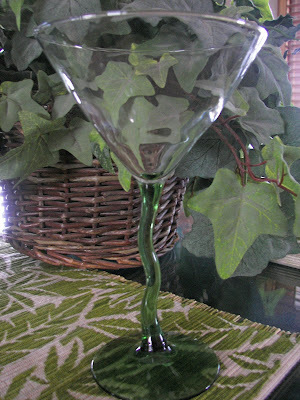 This is my version of a green...as in dollar friendly, St. Patrick's Day Tablescape! My 13 year old daughter Tati has a different take for a St. Patrick's Day Tablescape...she set a more formal tablescape using some of the same items. We had a lot of fun setting up our different tablescapes using some of the same items. You can find her tablescape at this link:http://polkadotpantrysweets.blogspot.com/2010/02/st-patricks-day-table-setting.html. 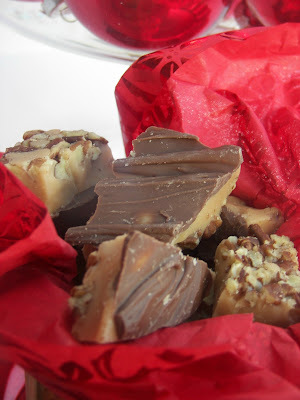 We are linking up at Tablescape Thursday! Come see many more tablescapes on display. 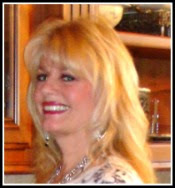 The link for this is:http://betweennapsontheporch.blogspot.com/. I am kind of undecided on the napkins. There is actually green on it, but it doesn't show up well in the photos. At home, I thought the red napkin was a nice contrast to the green...I am not so sure now. These glasses were a happy find at the Dollar Store! I just love the stem! The bowls were found at the Dollar Store. The placemats were from Wal-Mart bought for, I think, fifty cents in a post-season sale last year. The plates were bought for fifty cents at the Dollar Store. They were on clearance! The silverware is from Wal-Mart. The napkins were a gift from my sister-in-law Camille. The plates, bowls, and stemware are all still available at my Dollar Store. Maybe they are still available at your Dollar Store! That's pretty! And you have taught your daughter well. Amazing to see how well she is doing with cooking, tablescaping, photography and blogging - at 13 years old! You must be very proud of Tati! 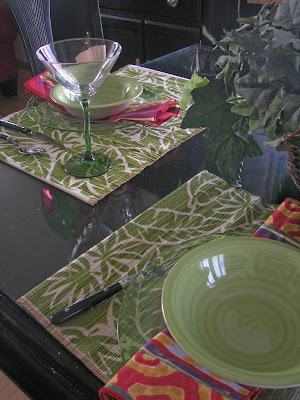 I love the green and what a steal on the placemats! I like the pop of red with the napkins. Stop by and enter my giveaway for 8 napkin rings. It's green, so of course, I love it! Gotta love a pretty tablescape that's thrifty too! Thanks for stopping by:-) What a beautiful table! I love the napkins and those placemats too. Beautiful!! Your table is great and the bargains always make it that much more fun. I will be visiting your daughter next. Thanks for playing and also for visiting my blog. Come back anytime. You and your daughter have an eye for tablescaping! I love how you each had a diferent approach. and of course I love your bargain finds! You got some great bargains. I love the glasses. Good job. SO nice to see all of the green! Now I would just like to see some green grass! Love the table! It was fun to read both your post and your daughter's. I am surprised she is only 13! I like your take with the colored napkin and am amazed at your dollar store finds! So refreshing and makes me long for summer. Love how you show different ways to go with your pretty dishes. And I like those fun goblets too. Look forward to seeing more tablescapes from you. 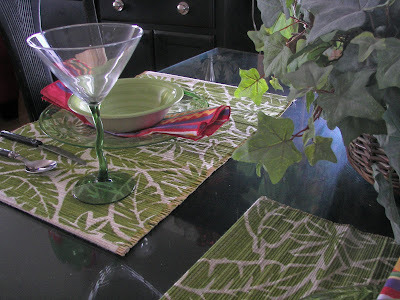 Love your table and the green is perfect on the glass tabletop. TFS all of your recipes...can't wait to try them out soon!